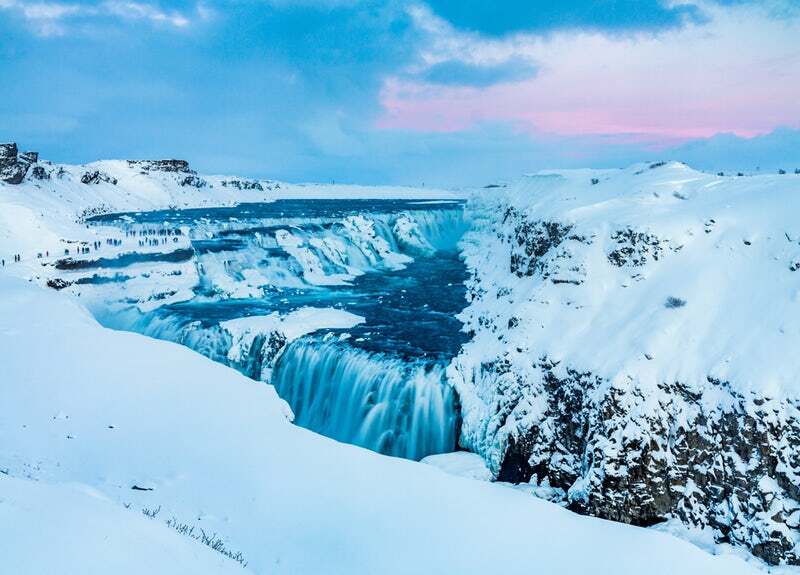 See the world famous erupting geyser & hot springs, experience the magnificent Gullfoss Waterfall and follow in the footsteps of the Vikings, as you walk down the lava canyon where the American and Eurasian continents are literally pulling apart in Þingvellir. ​​Step on board our all new bus fleet, equipped with WiFi connected computer tablets in each seat. 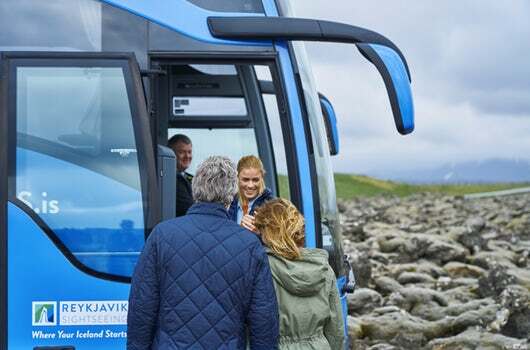 On the tablets you can use our GPS Sensitive In Bus Audio Guide, available with a choice of several languages. 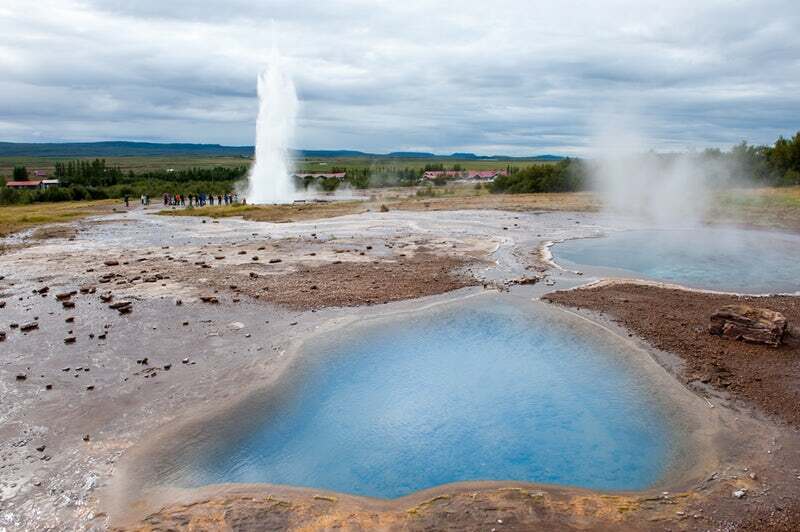 So if you wish to know interesting facts about Iceland and the places you will visit on the tour, in a language you are comfortable, that is very possible! Aboard will also be a host, that will happily answer any questions you might have about our peculiar country. In each seat you will also find a USB Charger.